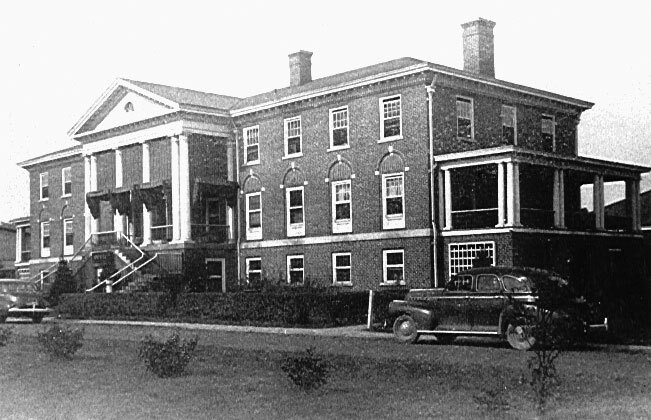 The Charleston District offices of the Division of Rehabilitation Services were housed for many years at this building in Institute, shown here as it appeared in 1943. DRS has successfully fulfilled its mission of enabling and empowering individuals with disabilities to work for almost 100 years. In this time, DRS counselors have assisted many thousands of West Virginians as they prepare for, get, keep or advance in jobs in the competitive labor market. The program began in 1920 with passage of the Smith-Fess Act by the U.S. Congress. This law offered vocational rehabilitation services to industrially injured workers and other people with disabilities. The state legislature established the West Virginia Division of Vocational Rehabilitation on April 14, 1921, as part of the Department of Education. In 1987, the agency was renamed the Division of Rehabilitation Services to reflect the wide range of services DRS provides. State legislation transferred DRS to the Department of Education and the Arts in 1994, and in 2018 DRS was transferred to the Department of Commerce. Today DRS’ primary focus is to provide vocational rehabilitation services to help people with disabilities get jobs. Through development of an individualized plan for employment, DRS tailors services to meet the specific needs of each client. Since 1921, DRS has implemented numerous program innovations and advances. With help from many partners, DRS delivers the most comprehensive vocational rehabilitation programming available within West Virginia.